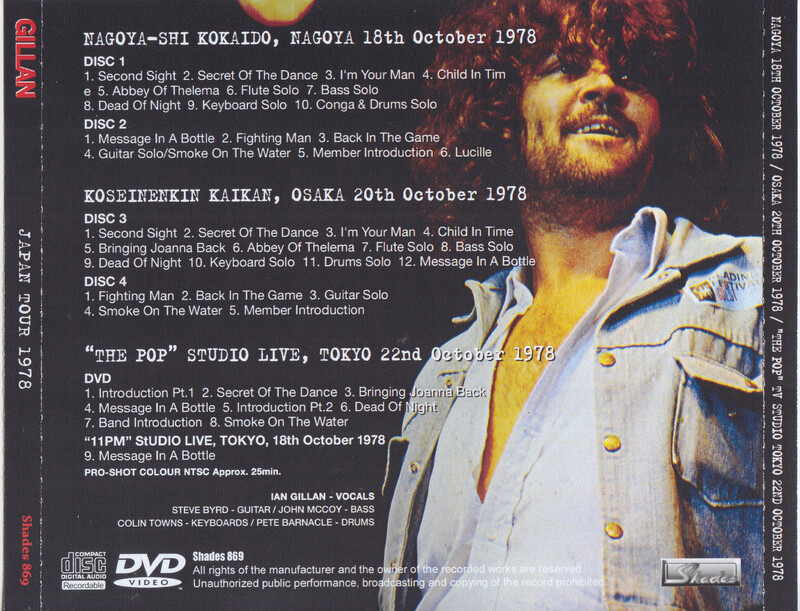 Nagoya 18th October 1978/ Osaka 20th October 1978 / The Pop TV Studio Tokyo 22nd October 1978. Here is the title compiled by “Good Guillain” name in 1978 with good audience sound source and image related to Japan. First of all, as a sound source, we went to the Nagoya City Public Hall on October 18th, the second performance in Japan, and the live performance at the Osaka Health Pension Center on October 20th in the 4th show, both at that time being the A ranking audience · recording Included. 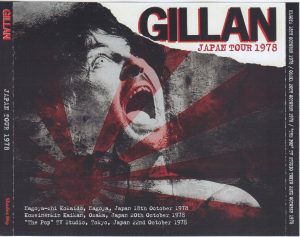 While I came to Japan as Ian Gillan band last year, I changed members a lot, recorded “GILLAN”, changed to a hard line. 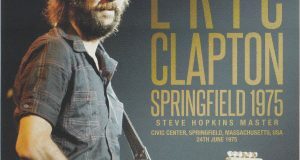 And, as a sound source from the arrival in Japan as a solo for the second time, especially in the Nagoya performance, digital remastering is performed again from the original master, and it is clear and on sound. 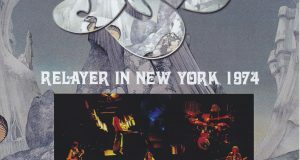 And the set also features the number from “GILLAN”, “JAPANESE ALBUM”, and shows off 8 songs in 10 albums all the time, except the rest is a live performance called purple number. The Osaka performance is not complete but because “Angkor Last” Lucille was not recorded yet, “Bringing Joanna Back” that did not play in Nagoya is checked in. In addition, for Coupling DVD-R, Studio Live, etc. recorded for TV as a promotion to Japan are recorded for 25 minutes. It is on the October 22 music program “THE POP” and on October 18 “11PM” appearance, since digitization has also been done from Omoto VHS Master, so in the full-length clear image. 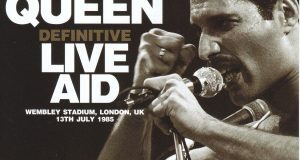 DVD-R : PRO-SHOT COLOUR NTSC Approx. 25min.